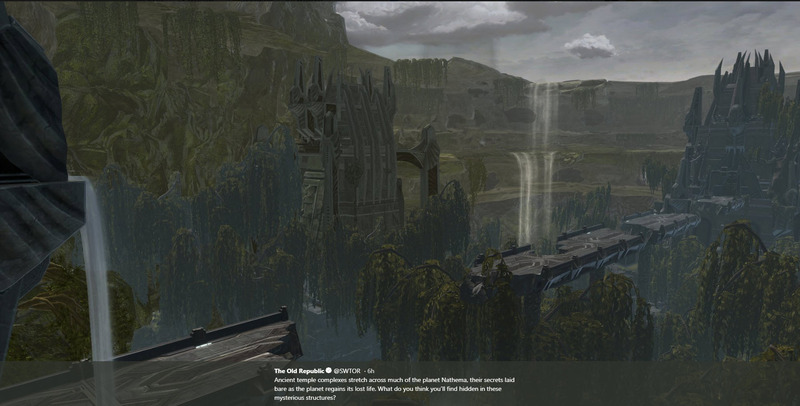 Bioware has released a teaser image of the upcoming Nathema flashpoint coming with Patch 5.9 on May 1. Ancient temple complexes stretch across much of the planet Nathema, their secrets laid bare as the planet regains its lost life. What do you think you’ll find hidden in these mysterious structures?